Dr. Wight is the only physician in the area that uses VAX-D, a non-surgical therapy to treat chronic spinal pain. Used as an alternative to surgery, VAX-D gives the desired result while being both safe and cost effective. 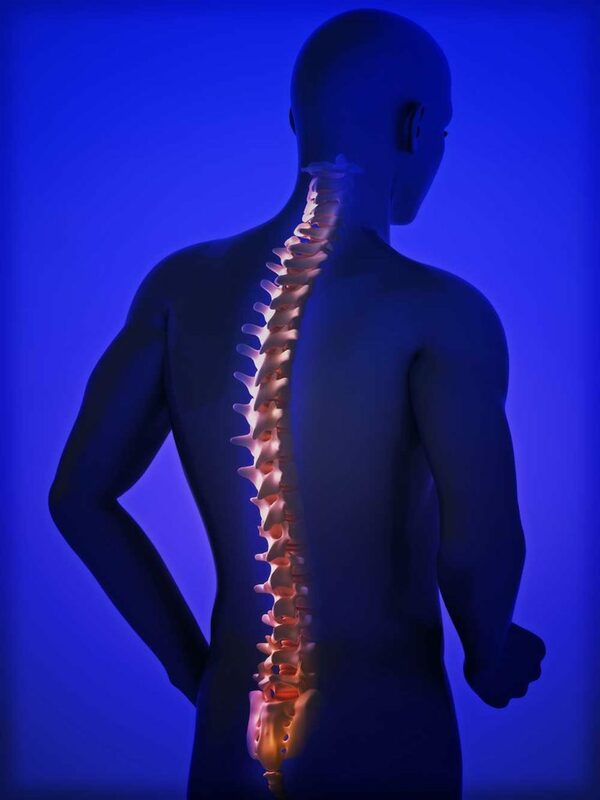 VAX-D is used to treat back and neck pain by using a patented smooth logarithmic curve method to distract the spine. Dr. Wight uses this decompression system with biofeedback and multi-axis motion control. This treatment relieves pressure on the structures that cause back pain, such as herniated or bulging discs as well as degenerative disc disease. Studies show that VAX-D treatment has better outcomes than physical therapy, TENS, ultrasound, acupuncture, epidural steroid injections, lumbar support belts, and surgery. VAX-D treatment length varies by the severity of the condition and is recommended for patients with lumbar or cervical back pain. This treatment does not work for every condition. It is reassuring to know that while surgery, anesthesia, and injections are avoided with spinal decompression of VAX-D, patients can be confident they are getting the best state-of-the-art treatment. Dr. Wight is excited to bring this technology to his hometown and to give people suffering from disc injuries a realistic non-invasive (surgery) treatment option. We provide massage therapy in conjunction with our chiropractic services. Massage Therapy is a form of treatment performed by a trained and certified medical professional. It is a scientific manipulation of the soft tissues of your body (muscle, connective tissue, tendons, ligaments and skin) that include applying pressure that is fixed or movable, stretching, holding or causing movement to the body. It is considered part of complementary and integrative medicine. It is recommended along with other treatments for a variety of conditions. Massage is helpful with circulation and has been proven to reduce stress, headaches, stiffness, pain and muscle tension while increasing flexibility, easier breathing, healing of soft tissue injuries among other things. We know that chronic pain in your neck or back makes life miserable. In many cases, this pain can be reduced or eliminated by one of our trained professionals, such as a chiropractor. Legacy Health uses techniques and technology that provides our patients with state-of-the-art-healing. One of those innovations for treating back pain is a non-surgical therapy that uses a decompression technique or vertebral axial distraction. This is known as VAX-D therapy. We are the only place in the Idaho Falls area where VAX-D is available. This form of therapy has revolutionized the treatment of back pain. For more than 15 years, VAX-D has been used to relieve chronic back and neck pain from disc and facet joint disease. It is noninvasive so there is no surgery, injections, anesthesia or long recovery period. Research shows pain relief is long-lasting for 70% of patients. The VAX-D therapy uses a revolutionary process to decompress the discs and stretching to align the neck and spine. This will ease the pain. This treatment has proven to be effective in correcting herniated discs, degenerative disc disease, posterior facet syndrome and nerve root pain. The VAX-D treatment is just one of many reasons to come to Legacy Health Partners. At Legacy Health, we don’t just work with people who are hurt or recovering from injury. We also work with athletes to help them perform their best. In fact, nearly all top athletes use chiropractic and physical therapy to keep their body performing at its peak condition. No matter if you are just beginning on your workout journey, looking to become a professional athlete, or want to dominate your church league, we can help you feel your best and improve your performance. We love helping athletes succeed, not just with their health, but on the playing field too! We can help athletes improve their flexibility, coordination, stability, balance, strength, speed, agility and power. Getting you back into the game: We can help you recover quickly and in the proper way from an injury. The sooner you feel better, the sooner you will be able to perform at the peak of your powers. Keep you from getting hurt: Obviously, injuries are going to happen. But, with a proper sports performance program designed specifically for you and your sport, the chance of injury can be reduced. Help you achieve your optimal performance: One second, one foot or one point can be the difference between winning and losing. We can help you be have the edge that can be that small difference between winning and losing. We would love to help you succeed. If you are an athlete looking for an edge, contact us today to learn more! There are a few reasons why you might need a drug test. Whether it is because of an issue with drugs or for employment purposes or some other reason, Legacy Health is the place for Idaho Falls drug testing. In general, if you need a drug test for employment reasons, the company will have an agreement with a drug testing location and send you there. There is a drug testing service fee, which may be paid by the company sending you to get tested. Drug testing can be done in two ways. One way is by getting a hair follicle sample tested. Because of the cost, this option is not normally done even though it is the best option. Most of the time, you will need to do a urine test. You may have someone accompany you to the bathroom during the test. You will also fill out some paperwork and then the results are sent to the company that sent you. It should take a few days for the results of your test to be received. We recommend that you be patient during the process and wait for the company that sent you to receive results. After all, you don’t want to annoy the company that sent you.